WHO SAYS A CRAFT BREWERY CAN´T MAKE A ROCK SOLID PILSNER TO HANG YOUR HAT ON AFTER A LONG DAY ON THE JOB? 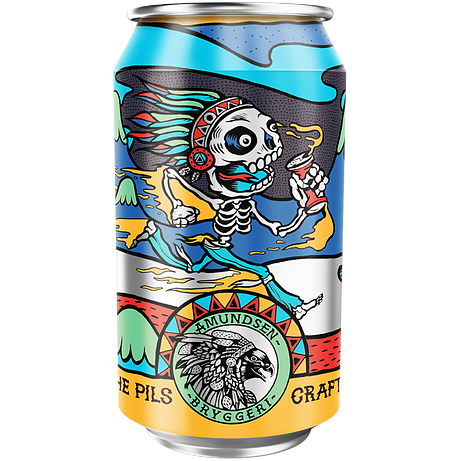 WE AT AMUNDSEN BELIEVE ALL BEER STYLES ARE AS GOOD AS THE CRAFTSMEN BEHIND THEM. IN OUR CRAFT PILSNER YOU WILL FIND, MALTY GRAININESS THAT GIVES WAY TO STICKY, PINEY, HOP HONEY. JUST BEGGING TO BE DRUNK BY THE MUG FULL. RUN TO THE PILS PAIRS BEST WITH AIR GUITAR AND TEASED HAIR.